Opal is one of the most beautiful gemstones the world has seen. Its exuberance and vibrancy touches everyone that has the privilege to experience the true beauty of this wonderful gemstone. 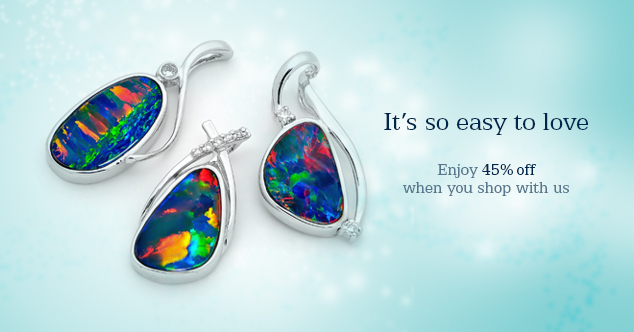 Opals Australia is the name associated with quality opal jewellery for over 80 years. We have long been the leader in opals as well as the promotion of opal jewellery worldwide. World renowned for our excellent workmanship and use of quality opal without compromise, we have the experience and expertise to help our customers to promote this fantastic gemstone across the world. As the leader in the field, we have never stood still in our product development and continual strive for excellence. As such, we offer a comprehensive range of opal jewellery types to satisfy the needs of our customers; including popular styles such as pendant, earrings, and ring, to more special items such as bracelet, bangle, cufflinks, brooch or tie-tack. To maximize our customers' choice, we provide the choice of jewellery in 14K, 18K gold or sterling silver settings. The designs of our opal jewellery is a fantastic mixture of premium classic looks, simple yet timeless designs, and more contemporary styles for the young and the young at hearts. In recent years we have introduced new lines of opal jewellery to tailor for the change in consumer preference and taste. This includes the trend setting Phoenix premium Sterling Silver jewellery range, and the ultra premium Veritas collection, which uses premium Australian crystal opals set into the beautifully crafted 18K gold settings.